Beautiful & elegant mermaid bookend set. 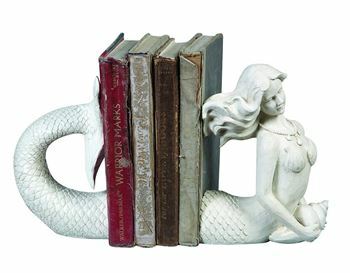 Beautiful & elegant mermaid bookend set. Adds mythical beauty to a shelf in cream resin.